Designer Louise Douglas brings a love of art, nature and fashion to her keepsake pieces which are all handcrafted in the vibrant and beautiful city of Nelson, New Zealand. With an organic aesthetic borne from her upbringing in nature's surroundings, Louise’s designs express memories of a childhood spent exploring the native forest and rugged seaside. Each intricate design is originally carved from wax. These delicate models are then cast into silver and bronze and each is finished by hand. The sterling silver is oxidized for an antique finish, while the bronze is dipped in 22k satin gold. Chains, clasps, and ear-wires are sterling silver or 14k rolled gold. Many items are also embellished with an array of high-quality freshwater pearls or semiprecious stones. Louise Douglas Jewellery takes pride in the high quality and hand finishing of all their pieces. FREE SHIPPING on all orders within NZ. Your jewellery is sent via NZ CourierPost, and will reach you within 1-3 working days. All orders within New Zealand will require a signature on delivery. Free shipping when you spend over $500. Rest of world: Please ask for quote. Shipping will not be charged at the time you make your credit card or PayPal order. We will send you a PayPal request for the shipping charge once we have confirmed your order. Your jewellery is sent via NZ Post International Courier, and will reach you within 5-10 working days. International orders may be subject to taxes or duties in your country. Louise Douglas Jewellery has no control over these charges, and is not responsible for any charges incurred. You can redeem a gift certificate online or in our flagship store (117 Nile Street, Nelson). To redeem on our website: shop for your jewellery item, then click "Buy via direct deposit". Include your gift certificate code in the "Special instructions" section. If the price of your purchase exceeds the gift certificate value, pay the difference by (a) direct deposit; or (b) credit card (just email us and we'll send a payment request). If the price of your purchase is less than the gift certificate value, we'll give you a store credit. 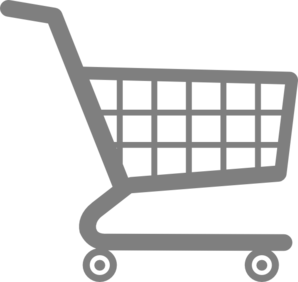 If you want to purchase more than one item, do a "Buy via direct deposit" purchase for each item. All jewellery is sent beautifully packaged in our signature gift pouches finished with a satin ribbon bow. Care instructions included. We can also include a gift card and personal message by special request. For ring purchases, please take care to order the correct size. We recommend getting sized correctly at your local jeweller as alterations will incur a fee. Please see our ring sizing guide for more information. Custom ring sizes (outside the usual available range) can be special ordered. Please contact us to make a special order, and allow 3-5 weeks for us to make the ring. Sizes T or larger may incur an additional charge. Most bracelets and necklaces can also be customized. Louise Douglas carves all of her original models by hand. They are then cast into silver or bronze, and finished with an array of high-quality freshwater pearls and semiprecious gemstones. The silver is oxidized for an antique finish, while the bronze is dipped in 22k satin gold. Chains, clasps, and ear-wires are sterling silver or 14k rolled gold. Although we source our gemstones, pearls and chains from around the world, all of our metal components are cast and gold-plated in New Zealand. Every individual item is then hand finished and embellished in our studio and boutique right here in sunny Nelson, New Zealand. Avoid wearing it to bed, or while showering, swimming and playing sports. Avoid contact with perfume, hairspray, creams, and household chemicals. Store the jewellery in a protective box or pouch, and keep pieces apart so they don't rub together. Do not wear gold-plated or pearl jewellery on a day-to-day basis. That way you will enjoy them for much longer. Silver - Clean with a professional jewellery cleaning product or soft polish cloth, while following the manufacturers instructions. 22k Gold Plate - Clean gently in a mild non-abrasive dishwashing liquid diluted in water. Use of a polish cloth, paste or strong jewellery cleaner is not recommended. Throughly dry your jewellery after exposure to water. It is our job to make sure that you are entirely happy with your purchase. If there is a fault or a problem with the quality of your jewellery we will happily refund or exchange the item. All Louise Douglas Jewellery items have 6 months warranty from the date of purchase (remember to keep a proof of purchase). We offer a repair service if your product is broken, and we will repair this free of charge during the warranty period. If your product is not covered under our warranty a small charge may apply. All information sent to louisedouglas.com is maintained in private files on our secure Web server and on our internal systems, and is not shared with third parties. 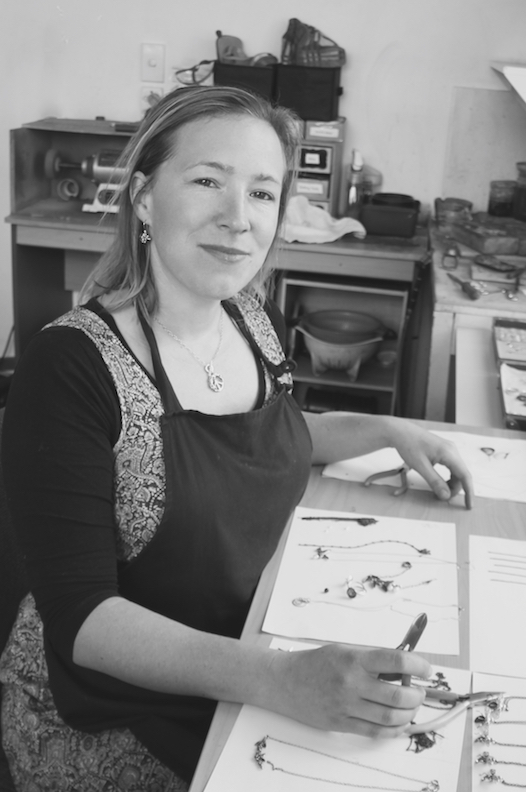 For over 20 years Louise has been designing and making jewellery. Starting her first company at age 18, Louise sold work to design stores in her home country of New Zealand. She then went on to design collections in the United States for private label and runway at large fashion jewellery houses in New York City. Her work has been sold to high-end department stores and exclusive boutiques throughout Japan, the US and NZ. Louise relishes in the process of bringing small objects into the world and sending them out to evoke curiosity and beauty. A dynamic member of our team, Sarah graduated with the highest degree award from Harrow Ceramics at the University of Westminster in the UK in 2009 before immigrating to New Zealand in 2010. 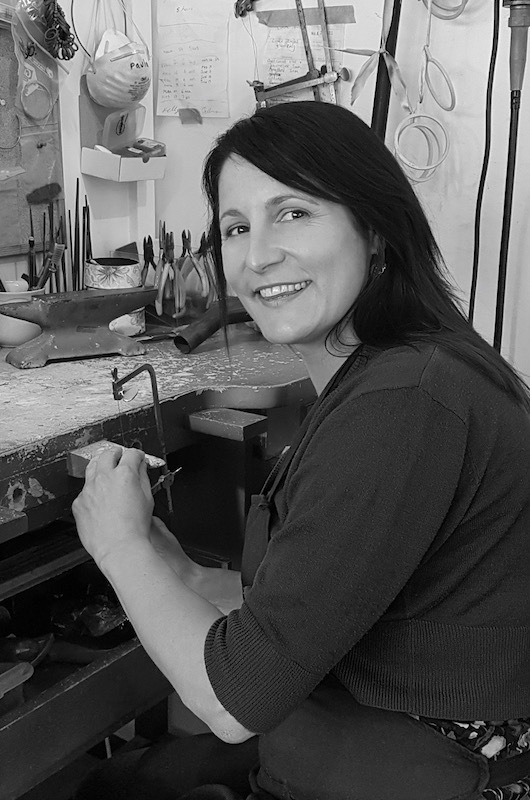 She applies her creativity and excellent design skills to her job at Louise Douglas Jewellery. Martin keeps Louise Douglas Jewellery ticking behind the scenes. 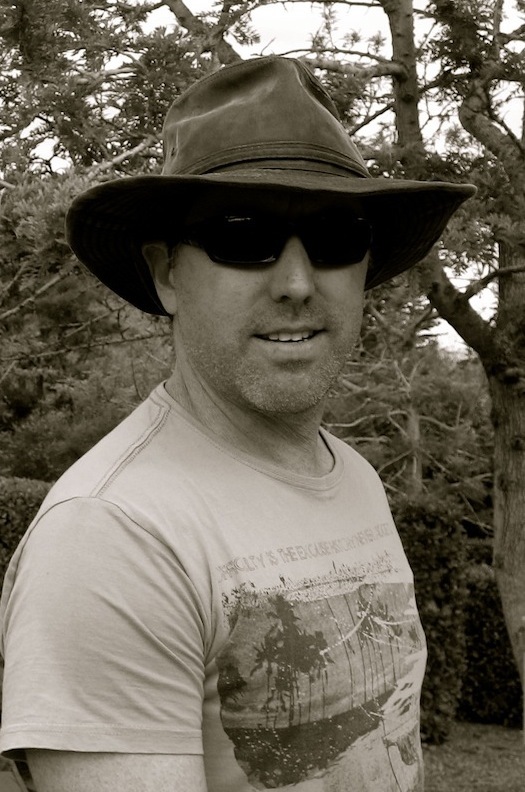 He manages our web site development, jewellery inventory system, and company finances. "One of the best ways to show your love for a person is to give them a special, tangible symbol of that love through jewellery. By the very nature of the form, it touches people. When it is worn, a person can feel it on their skin, but they can also sense the maker's empathy and compassion. I believe your jewellery should not only make you feel beautiful — it should connect to the beauty surrounding you." Sign up for our newsletters — new designs, collections, and promotions.